A U.S. Forest Service decision released Wednesday will allow loggers to remove dead trees from 52 square miles of forests blackened last year in a massive central California wildfire, a move contested by environmentalists. 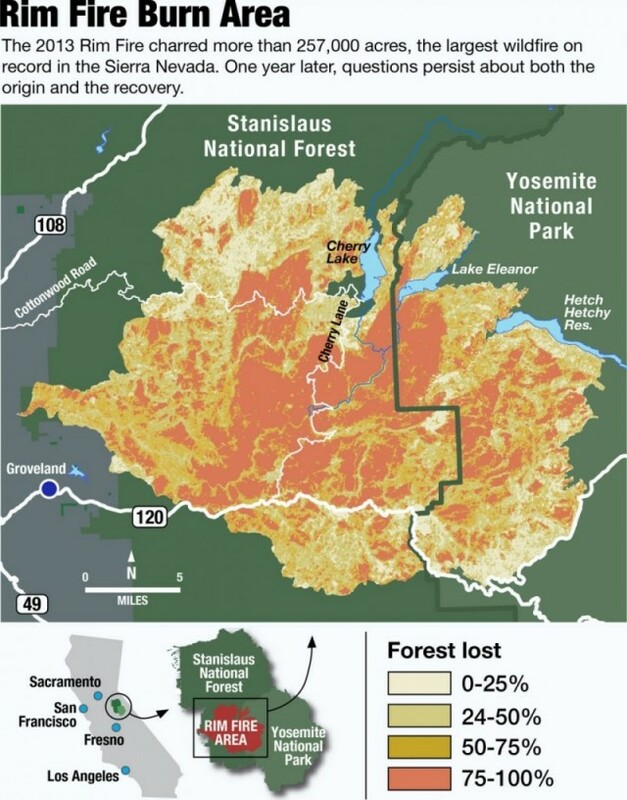 The highly awaited decision came amid a standoff between environmentalists and supporters of the timber industry over what to do with the trees that died in the massive Rim Fire, which started Aug. 17, 2013, and burned more than 400 square miles of the Stanislaus National Forest, Yosemite National Park's backcountry and private timber land. It threatened thousands of structures, destroyed 11 homes and cost more than $125 million to fight. Environmentalists had argued against logging the land, saying the blackened trees and new growth beneath them create vital habitat for dwindling birds such as spotted owls and black-backed woodpeckers. "This is an ecological travesty," said Chad Hanson, a forest ecologist and founder of the John Muir Project, an environmentalist group. "It's basically an extinction plan for the California spotted owl." Supporters of the timber industry said logging would pay for replanting and restoring the forest. Taking out dead trees will also allow the public to use the land, they say, and eliminate a new fire hazard caused by the falling trees. 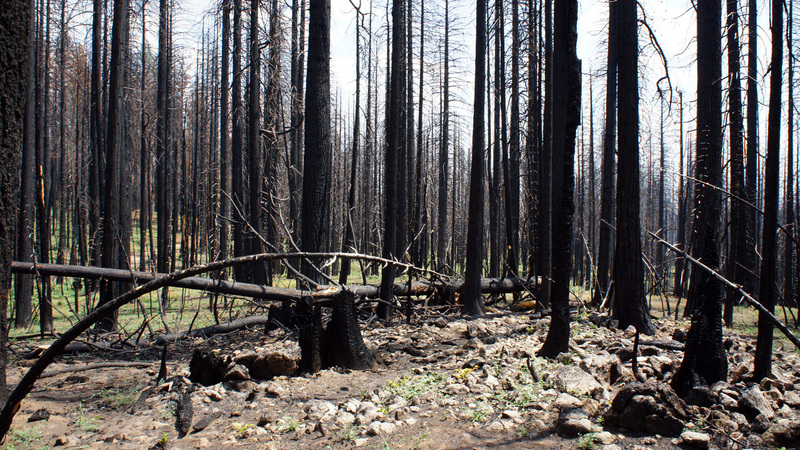 Susan Skalski, supervisor of the Stanislaus National Forest, is expected to sign the logging decision on Thursday, making it final. Federal prosecutors accuse bow hunter Keith Matthew Emerald, 32, of starting the massive blaze when he lost control of an illegal campfire and had to be rescued by helicopter. A grand jury on Aug. 7 returned a four-count indictment against Emerald, who lives in the foothill community of Columbia. Emerald, who has pleaded not guilty, was released from jail after posting a $60,000 bond.